DAVID LE/Staff photo. 2/19/15. 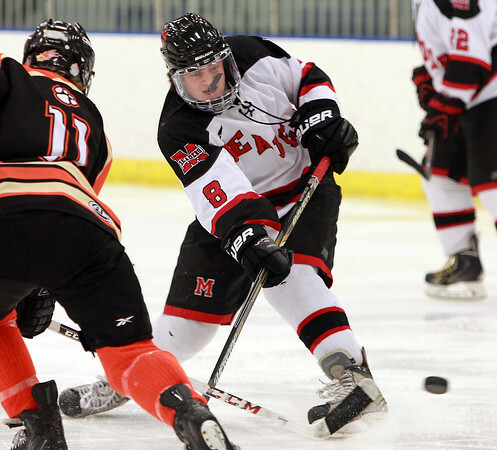 Marblehead senior defense Ryan Jones (8) blasts a slap shot on net while being hassled by Beverly freshman forward Tim McCarthy (11).